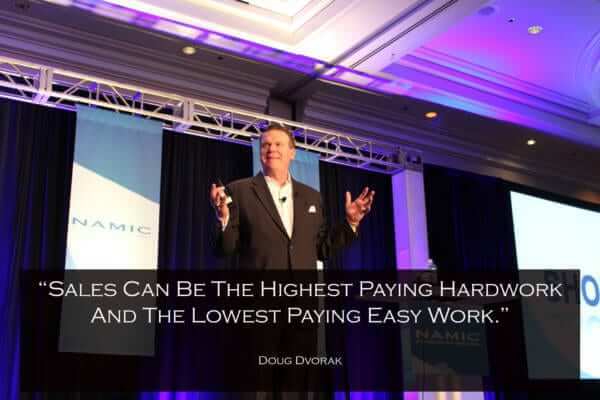 Doug Dvorak is the CEO of The Sales Coaching Institute, a worldwide organization that assists clients with sales productivity training, sales, marketing, and other aspects of sales management. Mr. Dvorak’s clients range from entrepreneurs to Fortune 500 companies including, IBM, Marriott, Subway, and Unilever, to name a few. Mr. Dvorak has delivered over 1000 customized sales training keynotes, presentations, and workshops on 5 continents, in over 100 countries and to over 1 million people and growing. He has also earned an international reputation for his powerful sales training, educational methods, and motivational techniques. His background in “sales, leadership, management, customer experience, and loyalty.” has allowed him to become one of world’s most sought-after sales training consultants, lecturers, and teachers. This vast experience has helped him shape and determine his philosophies on sales success which he now shares annually with thousands of individuals through keynote presentations, syndicated writing, television, seminars, books, and tapes. Doug Dvorak is a member of the National Speakers Association and carries the professional designation of the Certified Speaking Professional (CSP). Only the best professional speakers earn this high-level marque. Doug is also a member of the International Federation for Professional Speakers. Furthermore, Doug is a certified sales trainer and management consultant and the Founder and Managing Principal of The Sales Coaching Institute. 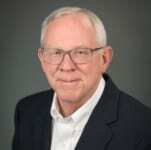 Ken has helped launch solutions for a number of software companies that provide products in a variety of different verticals; from supply chain management to K12 curriculum management. He has held sales and sales leadership positions at every level and every size organization: from ‘bag carrying rep’ to Sr. VP level executive; from embryonic start-ups to multi-billion dollar enterprises. Ken is a graduate of the United States Military Academy at West Point and served five years in the US Army. He currently resides in Canton CT and is a supporter of ‘special needs’ children and adults. He is an avid sports fan and maintains a high level of physical fitness with daily intense workouts. Ken was also Captain of the Army Football Team. David Sanders is Vice President of Strategy & Talent Acquisition for The Sales Coaching Institute and brings a stellar history of sales leadership success from small VC-backed firms to some of the world’s most successful technology companies, specifically in the enterprise software technology space. In environments characterized by constant change and organizational restructuring, he consistently raises the bar by optimizing salesforce productivity exceeding ambitious quotas leading to double-digit year-over-year growth in newly created and integrated sales organizations. Michael Breen has an extensive career in Sales and Sales Management including the following Industry verticals: Consulting, Health Care Diagnostics, Project Management, Corporate Tax Services, Electronic Equipment, and Web Services. Mike’s Coaching expertise has also led him to become a Mentor with Menttium Corporation providing mentoring guidance for rising young executives for such Firms as Blue Cross / Blue Shield, PepsiCo, and MB Financial. He also has a private practice as a life coach with an emphasis on Sales Skills improvement. Alvar Centers is passionate about the art of strategic sales & marketing. Alvar has successfully helped technology organizations reach transformative sales targets across many vertical markets like Financial, Franchising, Oil & Gas, Manufacturing, Education/Research, Construction and more. Mr. Centers is a senior sales leader and global business development executive experienced in driving impressive revenue growth for Small-Midsize to Fortune 500 technology service companies like Silicon Graphics (SGI), Unisys and others. He is an advocate for creating “win-win” partner network alliances through internal & external team collaboration that deliver client value and capitalize on new market opportunities. Alvar is proven leader with a high degree of confidence, tenacity and passion to for helping others succeed. Alvar has also mentored and taught entrepreneurs & start-ups on how to take their businesses to the next level by utilizing strategic sales and business development techniques.